Look what Amador County has done to support the amazing charities in Amador! #GivingTuesday 2018 raised $203,768 for local charities. 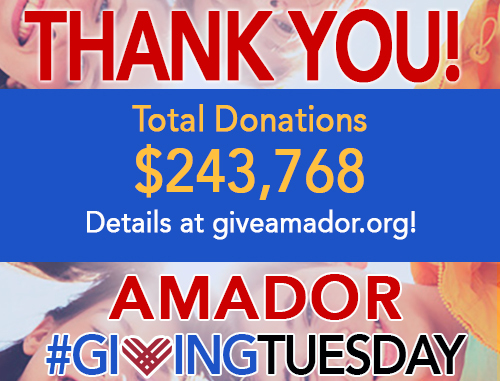 Amador Community Foundation matched $40,000, for a total day of giving of $243,768. We truly have a generous and giving community! Thank you to everyone! Granting back $2,639 million dollars into Amador County since 2000. Connecting Local generosity to Local needs! Watch for our Sacramento Wheelmen cyclists this weekend! In our beautiful Amador County! Kick off spring the right way when you visit this utterly beautiful flower farm hiding out in Northern California. Interesting data. Amador ranks 25 out of 58 counties.